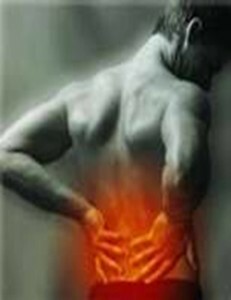 Back pain is a common ailment. Most people have back pain for many reasons. The most common cause of back pain is either from an injury, or lifting something heavy, sitting in wrong positions, putting too much pressure on the back. Doctors give many advice for back pain. Here are some home remedies for relieve back pain. Apply ice pack at the area where the pain is taking place. Applying ice pack to the area of the pain can cause the inflammation to stay at a minimum and decreases the ability of nerves to carry pain signals to the brain. Put some ice cubes in a plastic bag. Keep it for thirty minutes. Then remove the bag and again repeat for twenty minutes. Take a hot bath, if the injury or pain have passed for more than 24 hours then ice cannot help to cure the pain. Heat may increase the muscles elasticity and reduces the pain. Get enough sleep, getting enough rest is important when your back muscles are strained,the best way to lie is sideways with your knees flexed and a pillow between them and if you lie on your back, then put a pillow under your knees. Hope this helped to decrease your back pain. Do consult a doctor if the pain is unbearable or too serious. Most of us have already experienced this painful condition. Sore eyes or conjunctivitis is a viral infection that normally heals by itself after a couple of painful and miserable days of acquiring it. It’s terribly contagious and nobody would want to deal with it again. Would you? So, in order to be sore eyes free, always practice hand washing and avoid getting near people who has it. And if unfortunately you acquire it, specially now that summer season is fast approaching, you may want to try these natural remedies. Your eyes would feel extremely hot and sore. So, to help ease it, try putting ice pack on each eye for at least a minute. Or some slices of cucumber will do, as they can also cool the inflamed eyes. I have a very interesting childhood memory of sore eyes experience. Did you know that breast milk is very effective in curing sore eyes? Until now, I honestly do not know why but maybe because of abundant vitamins and minerals of breast milk, that any inflammation (sore eyes for this matter) would easily cure! Funny, but we would go at great lengths that time to find a breastfeeding mother just to ask for milk and wash our sore eyes. True enough, in a day or two, the redness would be gone! Lastly, we must not forget to maintain our intake of Omega-3 rich and Vitamin A packed foods as they help boost in the healing process. 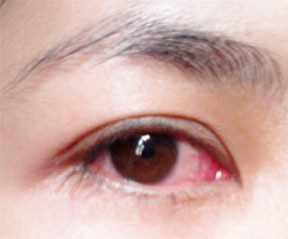 Take frequent rest and avoid rubbing your eyes. And please, avoid spreading the disease hand washing and wearing your sunglasses. Filed Under: Blog Tagged With: breast milk, breastfeeding mother, conjunctivitis, healing process, ice pack, inflammation, sore eyes, wearing your sunglasses.